During his fourth year at Japan's top music university, Shinichi happens to meet Megumi Noda or, as she refers to herself, Nodame. On the surface, she seems to be an unkempt girl with no direction in life. 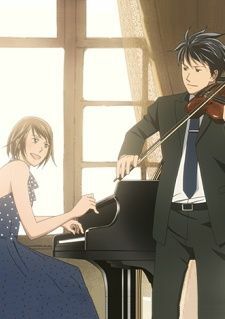 However, when Shinichi hears Nodame play the piano for the first time, he is in awe of the kind of music she creates. Nevertheless, Shinichi is dismayed to discover that Nodame is his neighbor, and worse, she ends up falling head over heels in love with him.